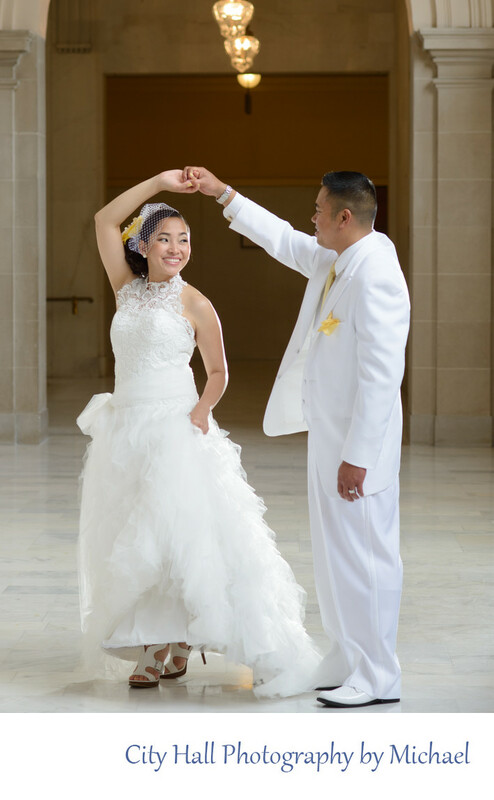 I loved the attire that this bride and groom wore for their city hall nuptials. It seemed to say, lets dance! So Toni, had them to some dance moves and photographed the action. Images like this provide the viewer with a sense of movement, which is key to creating a compelling professional image.